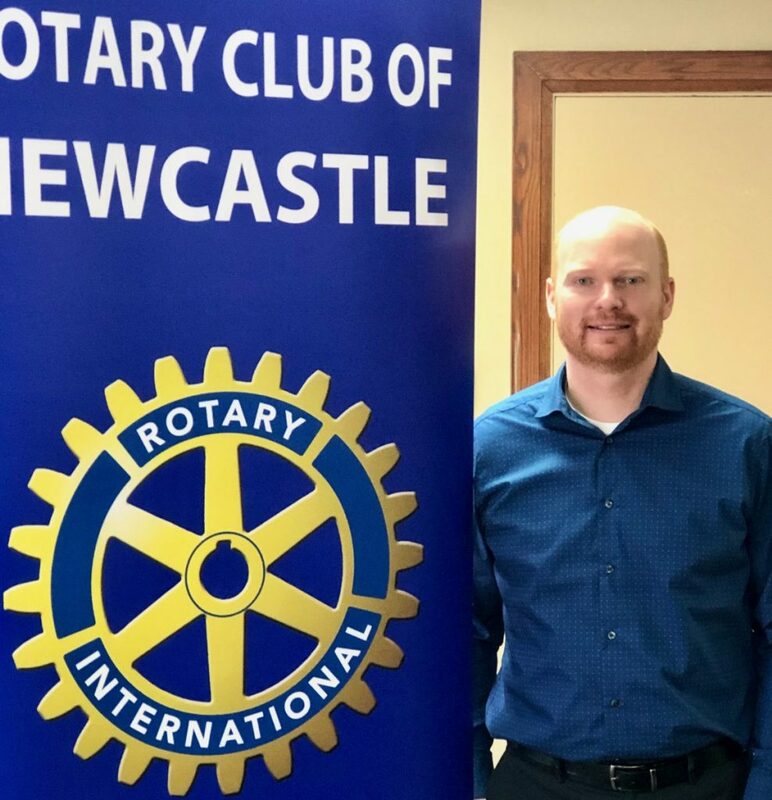 Matt Doherty is no stranger to the Rotary Club of Newcastle as he has been an active member for over a year. Matt became involved very quickly with volunteering for our annual Rib Fest and Purse Auction and he is also the Chair of the Membership Committee. He has been employed by Pepsi Co in Bathurst where he has held the position of Area Sales Rep for the past 8 years. Matt is married to his wife Brianna of five years and they have a beautiful son Drew. Matt has always been heavily involved in sports. Raised in Bathurst NB, he was drafted 81st in 2001 for the Bathurst Titans and later drafted to the Cape Breton Screaming Eagles . After recovering from a devastating injury to his knee he went on to make a full recovery and continued to play for the Miramichi Timberwolves. It was after that that he decided to attend UNB Fredericton. While playing for the university team, he obtained his degree in Business Administration.